MATURATION: 80% ex-Bourbon, 20% ex-Sherry for 9 years—married back together in an Oloroso Sherry cask for six further years. 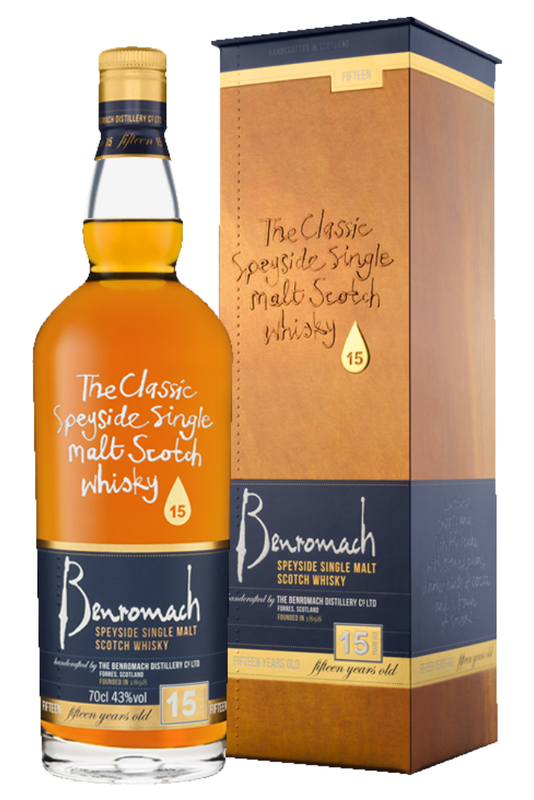 Pour yourself a dram of Benromach 15 Years Old. Lift it to the light and note the especially golden amber colour, thanks to the long maturation in sherry and bourbon casks. 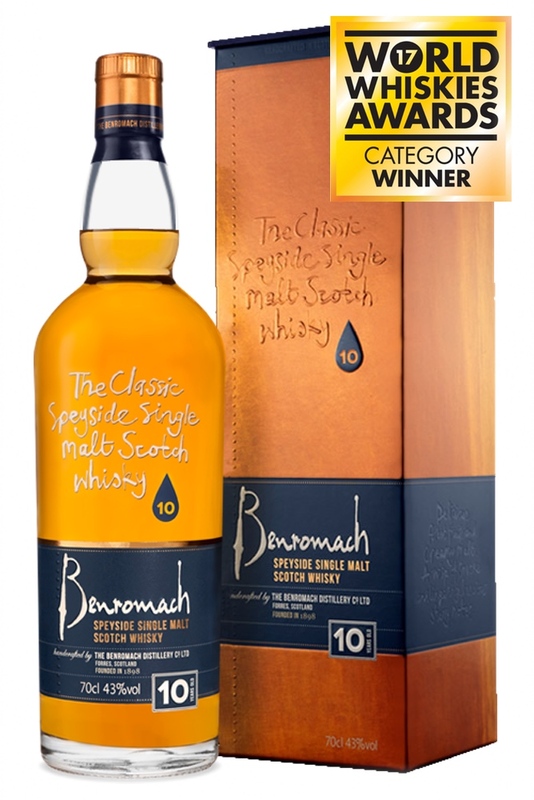 Now swill it around your glass and take a few little inhalations to savour the AROMA WITHOUT WATER; there's a lot going on - beautifully balanced sherry aromas with vanilla pod, zesty orange and spicy ginger complemented by delicate chamomile and menthol notes. 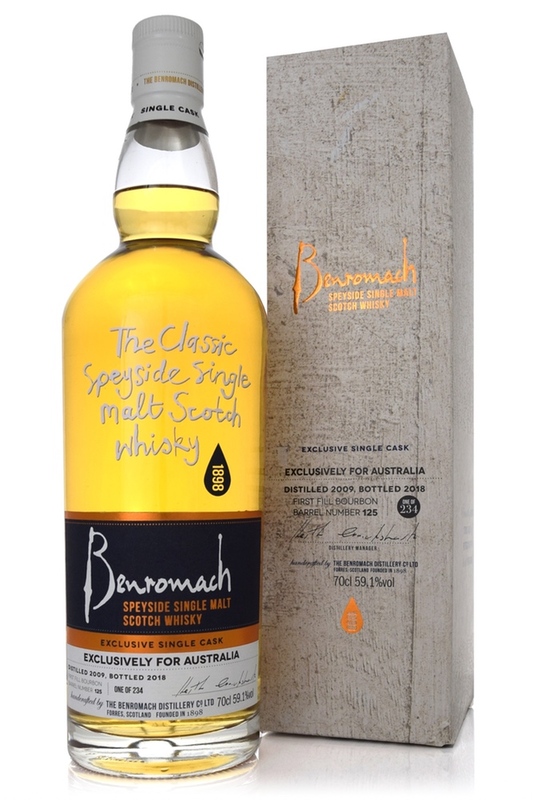 Now sip your dram, roll the whisky around your mouth and enjoy the TASTE WITHOUT WATER; there's luscious, rich fruit cake with stewed plum, red apple skin and the sharp edge of kiwi fruit. 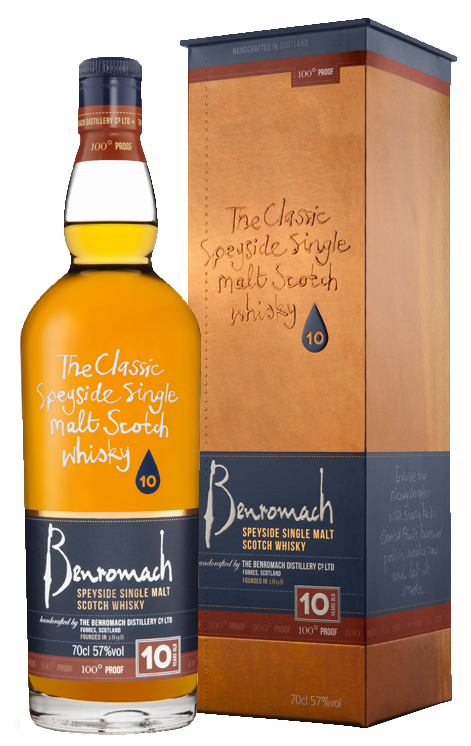 Next, take in the AROMA WITH WATER; the whisky shifts into another gear with subtle hints of cocoa, nutmeg and cinnamon giving way to sweet honey notes and hints of bonfire embers. 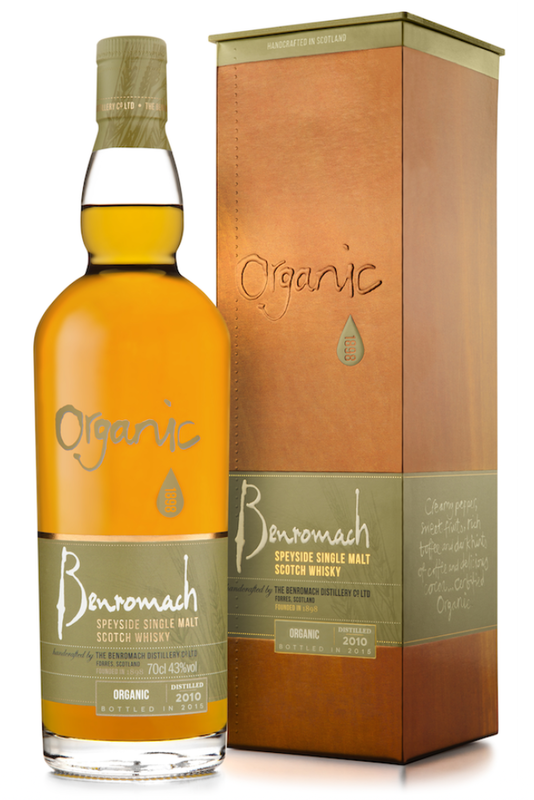 Add a drop or two of water to release the full TASTE WITH WATER; it's a very satisfying palate with traces of charred oak complementing sweet tangerine, plum and nectarines; completed by a gorgeous touch of milk chocolate. The longer maturation softens its smokiness to hints of charred smoke while developing the wood imbued character of succulent honey, vanilla and fruit.